This is a guest submission by Bibhuti Bhusan Pradhan. He explained the benefits of using smaller production lines on the shop floor. The apparel manufacturing industry teaches a lot with its continuous improvements and sometimes out of box innovations and ideas. One of the initiatives of the smaller line is gaining popularity and coming out as a strong reply to the current fluctuating orders, smaller order quantities. This article is an attempt to explain the key benefits of the concept. The concept as it is read speaks about continuously reducing the length of the line and improve the flexibility of the factory with the extended benefit of productivity, quality, and ethical sourcing. Buyers gradually are looking for competitiveness in terms of quick throughput time, the flexibility of accommodating smaller quantities without any compromise to quality. Smaller lines are quite flexible in accommodating smaller runs, faster turnover of goods and goods passing through less number of hands improves the quality parameter. Takt time is the time of customer demand, e.g. a takt time of 15 seconds means every garment should be produced (packed) in 15 seconds. Operator Cycle time (OCT) is the time taken by an operation to be produced. This is measured by the stopwatch study. The smaller lines are completely dependent on the job redistribution of the work and put the thought process back to the industrial engineers in the factory. The Operator cycle time has must be equal or below the take time to meet the customer demand. E.g. in the graph below, 8 operations are above takt time. The key lies in working on those operations to reduce the cycle times below takt time. The allowance varies from factory to factory on its managing abnormalities in the factory. How Takt time helps in smaller line? As an organization, the takt time should be increased and a line should be rebalanced each time. This increases the working time of the operator for the repeat work, target reduces increasing the productivity and efficiency of the workers. What is the limit of lines getting smaller? An apparel line can gradually shrink in length by increasing the takt time and this question keeps on coming how much we can make the line smaller. It depends on the takt time which an operator eventually will be handling or can handle. This is quite debatable, most of the workers in sub-continent are most productive when the takt time varies between 15 seconds to 60 seconds. Any repetitive work less than 15 seconds adds the fatigue level and work more than repetitive 60 seconds increases the skill requirement of workers. Wide range as there are different studies on the max a factory should go in improving the work content. An organization should keep trying to increase the takt time and make the production team acquainted to change. Machines are designed to perform a single task and not multi-tasking. Most of the time workers performing multi-task need to use multi machines and any use more than two machines become difficult to operate. Even for two machines handling the workers need to change work arrangement and increases fatigue level. Some task for the machine manufacturers to add to their innovation? Multi-skilled workers are required to do multiple operations has been the feedback of the industry. However, the situation is improved when the factory has a retraining/ training section increasing the multi-skills. This has to be the culture in the factory to adopt the training process. Absenteeism is another feedback from the industry which is a real concern. Absenteeism anyhow is a challenge for the industry and any rate above 6-7% makes the operation difficult. Multi-skilling culture can minimize the damage coming out of absenteeism. Group incentive: Group incentive has been quite successful in driving the motivation level of the workers. Small lines being more efficient workers get a larger incentive within the same working condition. It acts as a win-win situation for workers and factory owners. Strong industrial engineering and HR department adds to the success of the concept. Retraining center: In day to day activities, workers hardly get time to upgrade their skills. Retraining center helps workers upgrading the skill level. Helpers getting skills of operators and operators upgrading skills further helps the productivity and efficiency higher. Retraining centers most of the successful factories use for technical as well as soft skills improvement. 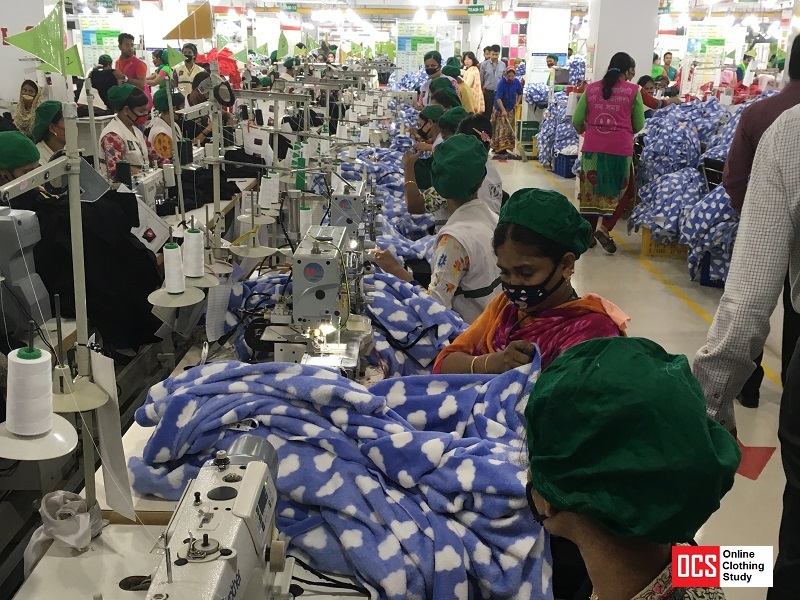 Training of middle management: Training and retraining of the supervisors have been a vigorous step taken by successful factories while going for smaller lines. Training is a secure investment and comes with handy returns. Skill matrix follow-up on understanding how many operations the worker can do. Factories give themselves the internal target of additional multi-skilling workers and devote resource accordingly. Successful factories for smaller lines, in fact, work in industrial engineering way and get rigid to system and methods. An effective industrial engineering department drives the lines getting smaller and all preparations accordingly. Smaller line is a reply to today’s fluctuating consumer behavior, uneven buying, peak and lean buying causing uneven placement and accommodating smaller order quantities without compromising on price, quality and other aesthetics of the apparel. More to get in support from machine manufacturers. Bibhuti Bhusan Pradhan is an industry professional in the apparel industry with experience of more than 13 years in different fields. Some of the key engagement has been with organizations like H&M, Techonapk Advisor’s, Shahi Exports, Gokaldas Exports in past years. He is a post graduate from NIFT, New Delhi and textile graduate from Institute of Textile Technology, Utkal University, Odisha. Bibhuti has started his career as an industrial engineer and later got engaged in a lot of change/ improvement program in garment manufacturing industry supporting factory performance. He is currently working as Regional Capacity Assurance Manager with Kmart Australia based out of Gurgaon, Haryana, India. Smaller Production Lines in the Apparel Industry - reasons for getting popularity.